Trey Albany show sold out? Er, if you were considering whether or not to purchase tickets for the February 18th show at The Palace Theater in Albany, NY it may be too late. It would appear that fellow Trey fans have made the decision for you, and tickets are no longer available. Just for the hell of it I decided to go on Tickemaster.com and try to purchase a ticket (although we here at HiFi Central already have our 5th row seats, yippeeee!) it came back as “tickets are currently unavailable” on their website, or in layman’s terms the show is most likely “sold out”. There was a 5-day pre-sale on Trey’s website and I’m assuming that the remainder were gobbled up pretty quick once they became open to the general public. 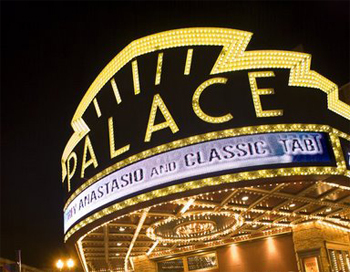 The Palace is a great venue to see anyone live, especially since it is a rather cozy venue and a perfectly restored classic vaudeville theater. If you got your tickets good for you since it’s going to be a great show no doubt. If you did not get your tickets, bummer, but like the Zappa Plays Zappa concert and others we have warned you well in advance about, heed our warnings and git’ dem’ tickets early! 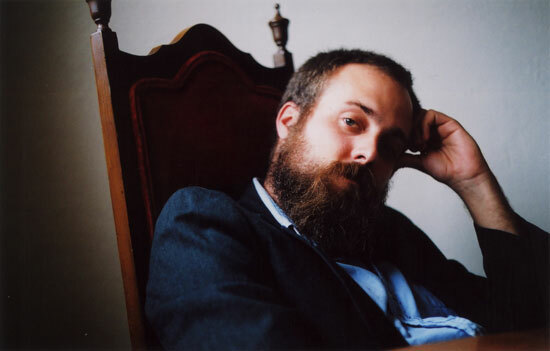 Iron and Wine to play MassMoCA 4/16/11! A pleasant surprise if you are an Iron and Wine fan and a bit of sunshine for all of us who initially may have felt forgotten about as they announced their recent tour dates and cities. Although Albany, NY will not get the much needed attention by the band our neighbors to the East in North Adams, MA will! As Iron and Wine wraps up the European leg of their tour they have decided to put some additional US dates in their tour schedule. On April 15th they play in Buffalo, NY, April 16th they will play in North Adams, MA at MassMoCA (Massachusetts Museum of Contemporary Art), and April 17th in Burlington, VT. The tough thing for me to figure out is that there are no assigned seats for this show and is “general admission”, what does that mean? So, if my wife and I go will it be standing room only? Random seats that are first come, first serve? I hate to be a complainer but with a $25 ticket price (which is not that expensive I admit) one normally would like to know if there will be chairs, or at the very least some logical quality experience for a large crowd. If not, seeing Iron and Wine play for 2 hours standing is not all that appealing for me personally; perhaps when I was 20 yes, but 40, no. If you have seen a show at the Hunter Theater at MassMoCA, please let us know here at HiFi Central what the layout is like and if the acoustics are good. Either way, it is nice to see that Sam Beam and his crew will be playing the New England area after all these years. If you are interested in purchasing tickets for this show click here. Happy Birthday Ms. Parton, you rock! Yes, today is Dolly Parton’s 65th birthday! I use to have the biggest crush on her when I was 10 years old and of course that love just grew more when I learned more about girls and their (ahem) “attributes”. 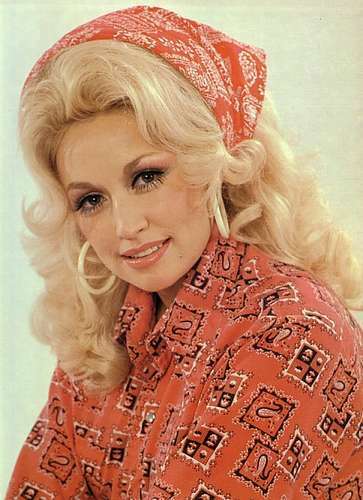 Yes, Dolly had some of the largest “attributes” of any Country & Western star at the time. Yes, she did have an incredible voice and many, many, many hit records, it was her top-heavy gifts that were often considered her talent when watching an entertaining hour of Hee-Haw for me. However with the advancements and the popularity of plastic surgery over the past decade she probably doesn’t really stick out in a crowd like the old days. I think its somewhat sad that in her later years Dolly took the plastic surgery route to retain her good looks. I think she took it to the extreme and today’s Dolly looks rather frightening, nothing like the vintage shot above. For this blog I feel that posting an image of the more “easy on the eyes” Dolly is the best way to remember her, I think most would agree. Look at Kenny Rogers (Da’ Outlaw and Da’ Gambla’),. that dude took the plastic surgery road as well and has stated that he wishes he had made a U-turn before paying the toll both. If you get a chance Google that dude and you can see that not all plastic surgeons get A’s in medical school, geez! His clearly got a C- in eye lifts, tragic! 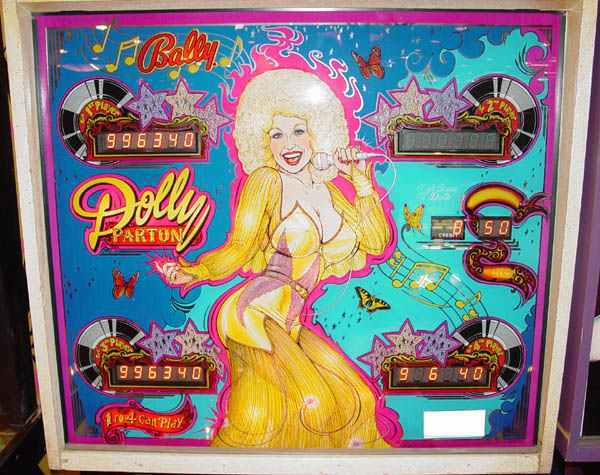 I recall that one of bars I frequented in high school and then later in college had the coolest Dolly Parton pinball machine. The bar was called The Palais Royale and still stands today, although it is under new management (gone are the days of Rocky the owner, what a guy!). When I moved back Albany, just after the original owner died and that place was officially closing for good (before it was re-purchased) that pinball machine was still there. I’ve provided a picture so you can see how truly righteous it was. Despite her poor plastic surgery, Dolly has done a lot of good things with her stardom; specifically establishing a program to encourage and promote childhood literacy in the U.S. , it’s called Dolly’s Imagination Library and it’s a very successful program. Dolly was born dirt poor in a one room cabin in rural Tennessee and was one of 12 kids, so I’m sure she was often went without and feels giving back is the right thing do. She has been lauded for her philanthropy for years and I’m sure she’s a super nice lady, always seemed cool as a kid growing up. Here at HiFi Central we consider Ms. Parton very cool indeed. Ok, so it’s been about a month since I purchased a new LED/LCD KDL-NX800 Sony television; a gift to myself after replacing a 15 year old 27″ Sony WEGA. One of the things that appealed me was the the new fangled built-in wireless internet features the television offered. Many of the new televisions are offering the wonderment of streaming media from your home network PC or game system (PS3, Wii, or 36o to act as a “media server”); so far it’s been far from the “consistent” incredible experience I was looking forward to when I spent $1,300. Are the features cool, yes, but consistentcy is main culprit. Perhaps it is my wireless network set up, perhaps it is a band width issue, perhaps it is such new technology that it wasn’t well thought out or tested prior to its release, I really do not know. Just the other day I turned on my television to stream some classical music and noticed that all of my media icons had vanished. Media icons such as Netflix, Yahoo, AnyPlay, Flixster, and others just did not appear any longer, however, there was an icon that offered me to “refresh my internet content” and seemed reasonable to do so, but it didn’t refresh anything, well, other than my frustration and subtle feelings of buyers remorse. Luckily after calling Sony support it appeared that the simple process of unplugging the television was all that was needed and that the “refresh internet content” was a nice way to make you feel that the television actually cared about you, but in reality it doesn’t. Although all of my media icons reappeared and were working fine, it appeared that I lost access to my music library (but still had access to my photos and video library’s, strange? ), and have been having trouble getting the television to acknowledge that it has access to stream those files. One thing I have found frustrating with Windows Media Player 11 and its streaming feature is actually the act of getting it to, well, stream when I want it to on a regular basis. Again, it walks you through the steps all the while making you feel like you are making progress and it wants you to be successful, and then the buzzkill, nothing. I’m not going to give up since it has worked in the past, but I’m starting to think they should call it “Why?”-erless streaming media, from my experience it still has many bugs to be worked out. Trey Anastasio Band in Albany! 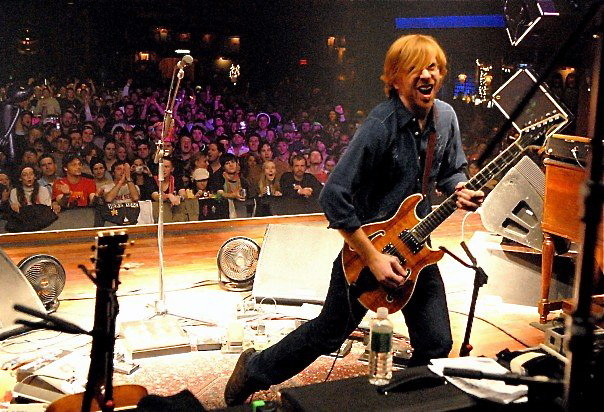 Fresh off Phish’s majestic New Year’s run at Madison Square Garden, guitarist Trey Anastasio is not taking a break. 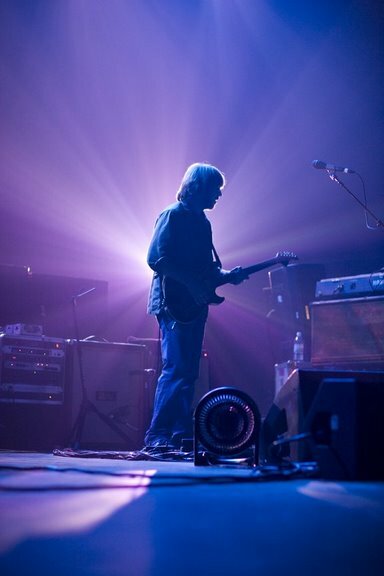 He has reassembled his 7-piece band (known as “Classic TAB”) and is hitting the road next month, which includes a stop at Albany’s Palace Theater on February 19th. The lineup will once again feature Natalie Cressman (trombone and vocals), Jennifer Hartswick (trumpet and vocals), Russ Lawton (drums), Tony Markellis (bass and vocals), Ray Paczkowski (keyboards) and Russell Remington (tenor saxophone and flute). The shows will also feature a full solo acoustic set from Trey along with a full electric set, marking the first time that Trey has toured in this format since 1999. As for Trey’s acoustic work, right now you can download a FREE mp3 here of his recent show in Princeton, NJ featuring Trey with a string quartet performing his songs along with some classic Phish tunes. You can see all the info including other tour dates here. Hope to see you there! Classical On-Demand and loving it! Much of the stuff we write about on this blog is often rock oriented or something far remote from Classical music. Yes, there was that odd entry a few months back about Christopher O’Reilly’s incredible new Tango album, but other than that Classical does not get the highest attention on a regular basis. To a degree it’s very sad too, with the all too frequent fund drives that local public radio stations are forced to put on these days (it seems like every other month they are begging for support) the one thing they mention over and over again is the death of Classical as a format on many stations nationwide. Classical music was a staple in my house growing up, my father primarily was the music lover and introduced me to many genres of music, however, I have surpassed him exponentionally when we discuss music, artists, albums, etc. Regardless, Classical was something I was introduced to at a very early age. Granted at the time I thought it was the most boring music created, rather designed for funerals than for fun. Over the years and the older I became, Classical music became very senimental and soothing, something I could always rely on in times that I needed some calm. I recall that even in high school I had an art teacher who always had Classical playing in the background for his students; he felt it was the one true music that would allow creativity and inspiration to flourish, and to a degree he was right. Even today you can find me in my office with some random Classical playing in the background. Children, and for that fact, even many adults are not familiar or appreciate Classical music. I recall one student at the school that I teach asking me if I was interested in being the advisor for the “Classical Music Club”, I was so excited to see what these students were listening to only to be shocked that “classical” was comprised of REO Speedwagon, Rainbow, and Zeppelin, ouch. When I brought up the possibility of making it a true “Classical” music club, they all scoffed and said that their grandparents listen to that stuff. In one of my December posts I mentioned that I bought a new television and it is internet ready, something that seemed more like a marketing scam than something truly useful (like 3D television, dumb I think), well, I must admit that Sony really provided some forethought about their consumer base when they created this new generation of televisions and how streaming media (audio or video) can actually enhance your ownership experience. Now to the point and topic of this blog entry, sorry for the long intro but I feel it has some merit setting the (ahem) “stage” of my intention. Last night I decided to plunge deeper into what streaming media capabilities my television had; one of the things that caught my eye under the “Video” section of my internet options there was an icon for the Berlin Philharmoniker – Digital Concert Hall, this is a MUST for any Classical music aficianado! There were about 30 to 40 concerts HD filmed within the last month and were catagorized by both symphony performing and what composer they were covering. Most of the featured concerts had trailer highlights which made choosing what you wanted to watch much easier. My 3-year old and I had a great time watching several trailers; they were taken had numerous vantage points and all in high definition so the viewing experience was sometimes SO real! The clarity and the sound were top notch as should be expected. I like the assortment and variety of what they offered, whether they keep updating the performances is yet to be seen. I also like the concept that it appears to be free and not a charged service though Sony or provider, it appears to be simply a complimentary option for owning the television, very cool. The other features in the video feature of internet television was the Sony / BMG alliance of MyPlay and the ability to watch free on-demand music videos. Under “Rock” I think the total was 900 videos that were searchable, under “Pop” (which included bands like Prong, Lamb of God, and Slayer, hardly “Pop” for sure) there were around 9,000 videos to watch, very impressive. I was surprised to find several Rodrigo y Gabriela video’s available of both live shows and professional MTV quality videos they had done, who knew? Still, I have to go back to the Digital Concert Hall as the most impressive feature of internet ready televisions so far, the experience and ability to watch great symphonies whereas you feel like you have front row seats (I highly suggest getting an 46″ LED that is 1080p and 240Gh like the Sony KDLNX800, if you can find it!). It is my ultimate hope that with options like on-demand Classical, it may provide some mode of exposure to a younger audience about the validity of Classical music today. Luckily, performers like cellist Yo-Yo Ma, violinist’s like Joshua Bell and Nigel Kennedy, Chinese piano prodigy Lang Lang are doing their part to enlighten younger listeners, so perhaps there is still hope for a rebirth in the popularity of Classical as a viable alternative to well, Alternative. 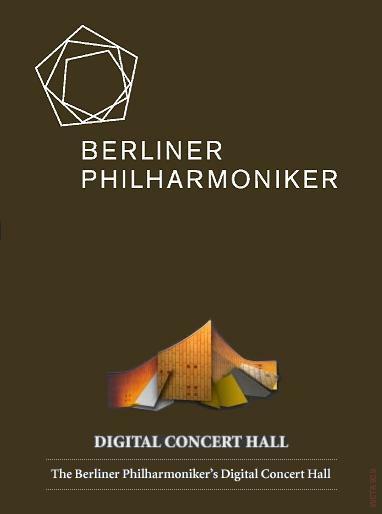 If you have one of the new Sony LED’s check out the Berliner Philharmoniker Digital Concert Hall series of concerts that are offered. Classical fan or not, I’m sure you will agree it is worth taking the time to watch.